TRENTON, NJ February 25, 2016 . . . 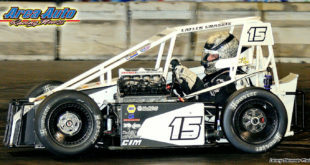 The preparations that transform a basketball court into a high speed race track continued throughout the day Thursday as Len Sammons Motorsports Productions (LSMP) gets set to stage The Battle Of Trenton Indoor Races this Friday and Saturday, Feb. 26-27. Dozens of concrete blocks, known as ‘Jersey barriers’ were hauled into the arena and positioned to form the outer perimeter of the track while cola syrup was sprayed in a fine mist onto the concrete floor to build traction in corners. Tire walls were situated at the key points on the inside of the track to form the turn radii. 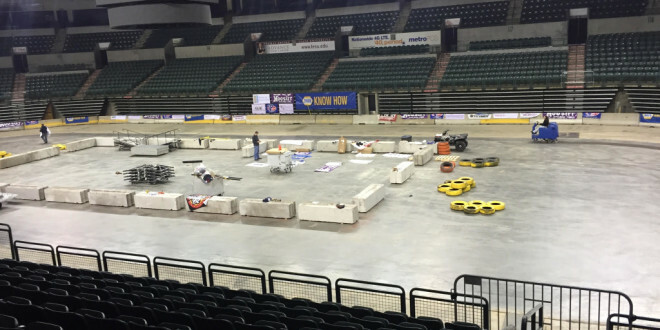 Once completed early Friday morning, 68 TQ Midget teams and 32 Champ Kart entrants will begin filing into the Sun National Bank Center to unload their cars for ‘The Battle Of Trenton’. TQ Midgets run Qualifying events Friday while Champ Karts conclude the first night of racing with their feature race. Thirty Slingshot competitors will replace the 32 Champ Kart teams for the Saturday events and will run their feature race then. The big prize is the Battle Of Trenton, a 40-lap TQ Midget feature race that will also determine the Len Sammons Motorsports Productions (LSMP) Indoor Racing Series presented by VP Racing Fuels. Among the TQ title contenders is Jimmy Blewett of Howell, N.J., a Wall Stadium, New Egypt, and NASCAR Whelen Modified Touring Series regular. 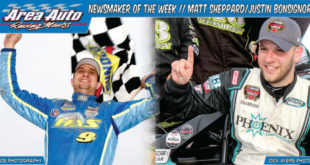 Blewett has entered every LSMP race for the past four years but has yet to score an outright feature win. 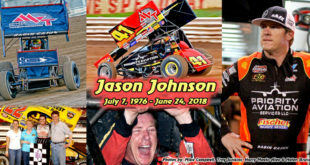 The Trenton race is the third and decisive struggle for the championship of the Len Sammons Motorsports Productions (LSMP) Indoor Racing Series. 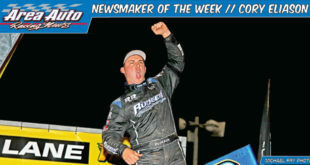 The series played to a sold-out crowd in Allentown, PA on January 2 with Ransomville, N.Y.,’s Erick Rudolph winning the feature. The next stop was Atlantic City’s Boardwalk Hall where Anthony Sesely of Matawan, N.J., took top honors. The series point championship will now be decided this weekend at the Sun National Bank Center. 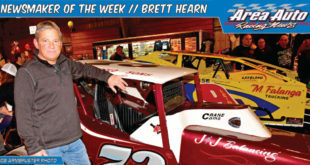 Blewett is one of four drivers in title contention. Sesely leads Ontario, Canada’s Mike Lichty by just one point. With points awarded for fast time, Friday night’s qualifying races and Saturday’s A-Main every position in every race will count. Rudolph and Blewett could each go into Saturday’s A-Main, with the opportunity to win the championship depending on their time trial and heat race performances. 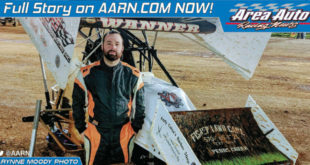 Andy Jankowiak of Buffalo, N.Y., who won the 2015 Battle Of Trenton, and consistent Tim Buckwalter of Pottstown, Pa., are still very much in the chase for the title as well, but would need the top four drivers to falter in order to cash in on their title hopes. 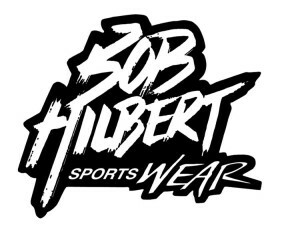 Friday night’s TQ Midget Triple 20 Qualifiers have received some added focus with the signing of a new sponsor and a unique handicapping system. The added buzz to Friday has made attending both days of this weekend’s NAPA Auto Parts / Oliver Construction, Inc. sponsored events at Trenton’s Sun National Bank Center as ‘not-miss’ events. The Battle Of Trenton Friday schedule of events consists of Pete & Elda’s Bar / Carmen’s Pizzeria TQ Midget Qualifiers. Rounding out the program will be a complete card of Champ Karts culminating with a 20- car, 20-lap feature. On Saturday, TQ Midgets continue their qualifying to pare the field down to 24 starters for the Battle Of Trenton 40 lap main event. 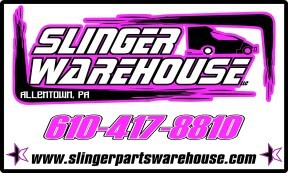 A complete program of qualifying events and a feature event will be also held for the Slingshots on Saturday which will decide the Slinger Warehouse Indoor Series title. Access to the pre-race trackside Saturday Fanfest is included with admission for Front Row or Lower Level Reserved Seats for Saturday ticket holders. All families with a young child will also be invited to Fanfest. 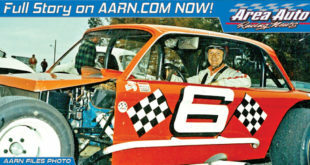 A third day of the Battle Of Trenton is on Sunday, Feb. 28 and is dedicated to Quarter Midget racers and Micro Stocks. The front doors are closed for this event, but admission is available through the back gate pit area entrance. 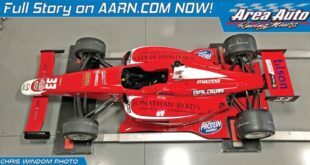 Check aarn.com for more information or phone 609-888-3618.